Alkalinity is different than pH. While pH indicates if a solution is an acid or a base, alkalinity tells you how much acid a solution can absorb without changing the pH. It is essentially, the buffering capacity of a solution (aka water). Therefore, solutions with low alkalinity have a lower buffering capacity, and change pH rather quickly when something acidic is added. Inversely, high alkalinity samples have a higher buffering capacity and are less affected when something acidic is added; you have to add a lot more acid in order to obtain the same pH change as in a low alkalinity sample. In natural water sources, alkalinity varies upon geographical location. Geology of the area directly influences the amount of alkalinity. Minerals from surrounding rocks and soil are primarily responsible. For example, areas with a high frequency of limestone will have much higher alkalinity than areas that have a high frequency of granite. When measuring alkalinity, the results are displayed as ppm of calcium carbonate (CaCO3). Hydroxide (OH-) ions, bicarbonate (HCO3-) ions, and carbonate (CO32-) ions all contribute to water alkalinity. Alkalinity is important in a variety of industries. Everything from aquariums and aquaculture to plating and water treatment requires alkalinity testing. Not knowing the alkalinity of the water in a multiple of fields can have disastrous implications and results for the final product. Correctly monitoring alkalinity can save users and operators time, materials, and money. While the buffering capacity in an aquarium is essential for both freshwater tanks and saltwater tanks, many additional organisms found in saltwater environments are much more susceptible to issues caused by improper alkalinity. Improper alkalinity can cause issues such as pH swings, alkalinity burn, coral bleaching, and tissue loss. Testing weekly is recommended. For more information, please check out our “How to Test for Alkalinity (dKH or ppm) in Your Aquarium” blog! Alkalinity is very important to plant growth. However, we are not talking about the alkalinity of the plants, but of their irrigation and/or nutrient solution systems. If alkalinity is too high, nutrients that plants need to grow will not be free in solution. When the nutrients are not free in solution, they cannot be taken up by the plants, and are therefore, ineffective. Do not be surprised if you observe spotting or discoloration of the plants, or stunted growth if your alkalinity readings are off. Maintaining a proper pH is key in order to plate metals onto pieces and to avoid pitfalls such as uneven coating, pitting, and burns. An appropriate pH is also vital for cleaning and pickling baths; if the pH is off-kilter the pieces will not be cleaned or refinished properly. A way to maintain the pH is to have buffering capacity, alkalinity, in the baths. As more contaminants are introduced by the pieces to be plated, they can cause large fluctuations in pH if the bath is unbuffered. Alkalinity is a parameter that is closely monitored throughout both the drinking water and wastewater treatment processes. Optimal alkalinity can streamline treatment, and cut down on the time and materials spent. 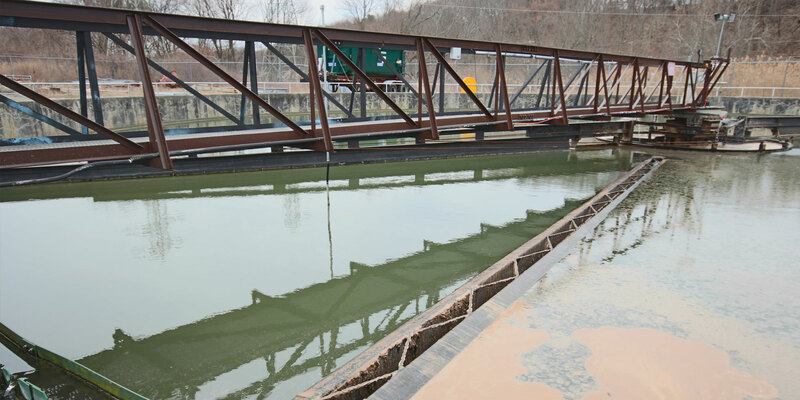 Improper alkalinity can cause issues such as slowed treatment reactions, additional materials needed, stalled treatment, end product imperfections, and environmental implications. 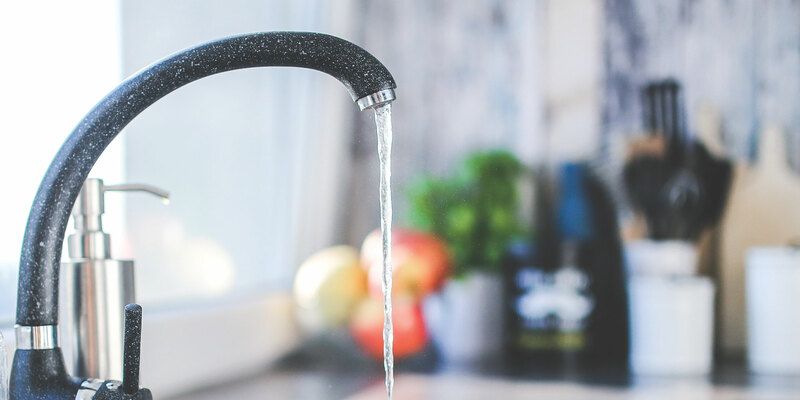 Read on for a bit of a deep dive into alkalinity and municipal water systems! When and Where Should You Monitor Alkalinity? When looking at a water report for your town, you will not see alkalinity under the Primary nor the Secondary Drinking Water Standards. It does not fall under those necessary tests for contaminants and/or parameters. However, alkalinity can influence how water needs to be treated throughout the water treatment process. It is usually measured in source water and in distribution water, though it can also be measured in the coagulation and flocculation stage. 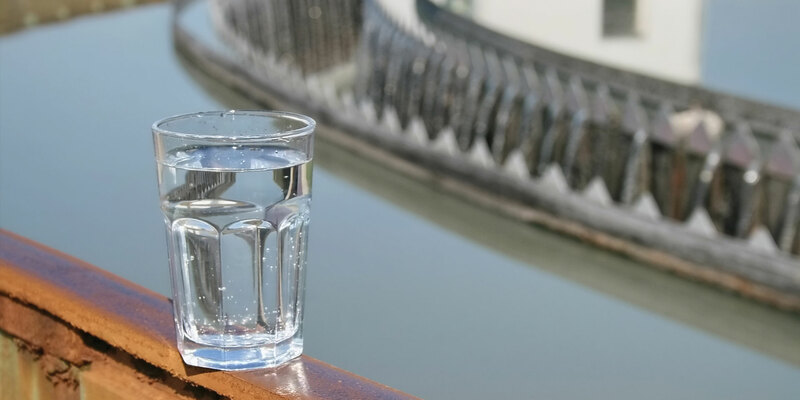 When the alkalinity of the water passing through the drinking water treatment process is high enough, the water will be buffered against volatile pH changes. This is important because different coagulants (substances used to remove contaminants from drinking water) can cause the pH to lower in the water. If the pH were to drop too low, adjustments would need to be made before subsequent stages. This would cause more time, resources, and money to be used for the water treatment. Ideally, you would want at least 110mg/L CaCO3 to buffer the water during the coagulation stage. By knowing the amount of alkalinity in the treated water, operators can proactively adjust the coagulant dosage, water pH, and alkalinity. Just as in drinking water, alkalinity is an indicator of how susceptible the water is to changes in pH. It can also indicate water pH and hardness. You need a certain level of alkalinity to make sure that a precipitation treatment will not cause a drop in pH. If the alkalinity is too low, the coagulant will change the pH and the turbidity will not be removed. As a coagulant is added, operators will also sometimes add lime or soda ash to adjust the pH and keep the alkalinity stable. Alkalinity at this stage of the treatment process is monitored and adjusted for nitrification. Nitrification processes consume present alkalinity, while denitrification produces alkalinity. Operators will regularly preferentially monitor alkalinity instead of pH to pre-emptively treat the water with sodium bicarbonate or soda ash, so the biological treatment of the water and waste will be effective. Nitrification is the conversion of ammonia in waste to nitrates. Nitrification requires a pH of 6.5-8.5. If the alkalinity is below 50mg/L, the operators will experience large pH swings and it would slow the nitrification process down. The nitrification process consumes ~7.1mg of alkalinity per mg of ammonia. Therefore, it is very important to measure both the ammonia and alkalinity to ensure there is enough alkalinity for the treatment to be complete. Phosphorus is another contaminant that must be removed before the wastewater can become effluent and released into the natural landscape. Lime can be used to remove phosphorus. However, in order for lime to efficiently remove phosphorus, the lime has to first react with the alkalinity in the water. The bicarbonate alkalinity reacts with the lime and forms calcium carbonate. The pH will increase because of the addition of lime, and the calcium will then be present in excess. The excess calcium reacts with the phosphate in the wastewater, and forms a precipitate. The precipitate can then be removed. For this reaction to be effective, the amount of lime added to the wastewater needs to be 1.4 to 1.6 times the total amount of alkalinity present. It is important for effluent waters to mimic the water chemistry of the natural waters that they output into. Matching the effluent to natural water helps to mitigate acid shock risk and large pH fluctuations. Effluent should have an alkalinity of at least 50mg/L. Volatile acidity refers to the volatile fatty acids that are in waste water. Volatile acidity indicates that there is biological activity from anaerobic waste digestion. Alkalinity must be monitored in tandem with volatile acidity for digestion of the waste to be complete. This digestion (breakdown) of the waste is done in the waste digester. For the solid waste to be broken down, the ratio of volatile acidity to alkalinity needs to be below 0.25. If this ratio is off, then the digestion will be inhibited and be slow or not go to completion. Typical volatile acidity in a digester is between 50-300mg/L acetic acid, and the alkalinity is usually 2,500-3,500mg/L as CaCO3. Alkalinity is always measured via some type of titration. Chemical kits such as the HI3811 for Total Alkalinity are easy to use, but highly subjective due to having to compare the color change with the naked eye. 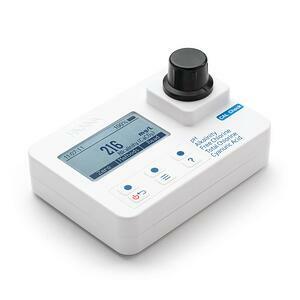 The HI775 Freshwater Alkalinity Colorimeter Checker® HC is the next step up for spot checking and home use. It's easier to use than chemical test kits and provides a pocket-sized colorimeter for direct measurement use. For a multiparameter option, still portable but with greater accuracy, the HI97104 pH, Alkalinity, Free Chlorine, Total Chlorine, and Cyanuric Acid Photometer. Laboratory grade accuracy, paired with the ease of calibration and tutorial mode make this meter an excellent option for any user. No warm up time for the light source is required prior to testing, saving you time during your testing. 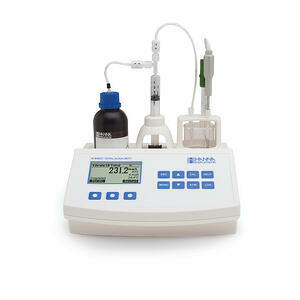 A more automatic option is the HI84531U-01 Mini Titrator for Measuring Titratable Alkalinity in Water and Wastewater. 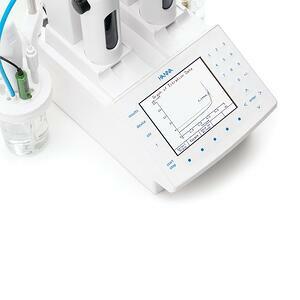 It's an affordable way to automate your alkalinity titrations. A precision dosing pump allows you to accurately detect your endpoint with a glass body pH electrode. The titrator comes with all of the reagents needed in order to conduct each test. The pre-standardized reagents allow you to measure in the low range (30 - 400mg/L CaCO3) and the high range (300 - 4000mg/L CaCO3). 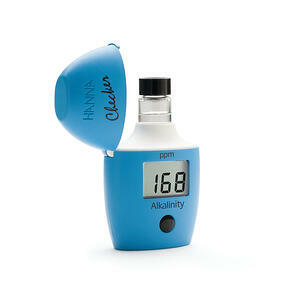 This mini titrator can also be used as a pH or mV meter. The most inclusive and customizable option is the HI932 Automatic Titrator that can be used for a variety of analyses including Free and Total Alkalinity. The small footprint saves you space, but it can still cover the entire range of your alkalinity measurements. The screens are designed for an easy and streamlined interface. This unit is also compatible with the HI921 or HI922 Autosamplers, allowing you to run batches of samples at once. Get to know your buffering capacity! If you have questions regarding your alkalinity testing, please contact us using one of the channels below. Allison graduated from Bryant University with a Master’s Degree in Global Environmental Studies. She is passionate about nature, and how science is connected to the world around us. 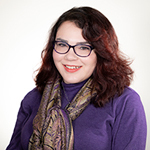 At Hanna, she provides an array of content and support to customers through the Hanna Blog, SOPs, and Data Sets. Allison may be reached at ahubbard@hannainst.com.